Tune to News Talk 98.7 Saturday mornings for Around the House with Dawn Steimer — Your weekly source for home improvement tips and topical advice from industry experts. More Living with Jim BroganTM is recognized throughout East Tennessee as the leading source of information for those who are already retired or those who are nearing retirement. Each week, Jim and his expert guests discuss issues like health and fitness, retirement, financial planning, social security, fraud prevention, Medicare and Medicaid, investment advice, prescription drug benefits, and more. 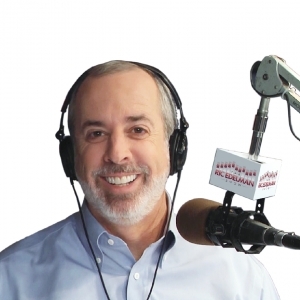 Every week, Ric Edelman brings comprehensive, useful—and entertaining!—financial wisdom and advice to a radio or streaming device near you. Learn something. Or get an answer to your own personal question! Catch Plan for Everything Saturday mornings at 11am when hosts John Vandergriff of Blue Ridge Wealth Planners and Retirement News Network’s Megan Mozack will cut through the jargon and misconceptions surrounding retirement to give you the facts you need to help achieve your comfortable retirement. You’ll get up-to-date on economic trends that could affect your retirement income strategy, options for optimizing your assets, key missteps to avoid, effective ways to help you prepare for your ideal retirement and more! Don’t allow yourself to be overwhelmed or confused by all the information out there. If you’re in or nearing retirement, tune into Plan for Everything Saturdays at 11am. Tune in to ask your health related questions. Victory Chiropractic and Wellness was started in Knoxville for many reasons. Dr. Jake and his wife Rachel are on a mission to raise healthy families, to lead them to abundant lives and to change the way healthcare is viewed and delivered in Knoxville,TN and surrounding cities. Click here for life changing information to elevate your health. Mortgage Cents with Kevin takes a common sense approach to mortgages. The home buying process can be long and always complicated. Kevin Blair brings his years of mortgage experience to help you understand the mortgage industry and give you the knowledge to make confident decisions. Please join Kevin and his co-host Beth Mansell every weekend. The Housing Hour was developed for the customers and potential customers of Mortgage Investors Group. The show idea was centered on supplying our listening audience with an entertaining and informative program that encompasses all aspects of housing. Join host Kevin Rhea and co-host Mark Griffith every Saturday as they dive into the issues that matter most in housing and our community. The Housing Hour is presented by Mortgage Investors Group. Justice Talks Radio is hosted by prominent East TN Attorney Jennifer McKinnish Burton and can be heard every Saturday night. Justice Talks Radio focuses on areas of law such as personal injury, criminal defense, family law and social security disability while also discussing issues that matter most in our community. If you have questions for Jennifer, go to www.myradiolawyer.com. The radio show infuriating both liberals and conservatives alike… Fighting for your Freedom and Liberty, the Two Principles that Made Our Country Great. Fighting for your Freedom and Liberty, the Two Principles that Made Our Country Great. Patrick Riggins is one of the few hosts consistently defending the Natural Human Rights, not only of the American people, but of all human beings around the world. He isn’t a Democrat. He isn’t a Republican. He’s not even an independent. He’s a freedom-loving American. Every weekend Kim Komando helps listeners across the country and around the world understand and expand their digital lifestyles. For the latest news from the digital world and answers to your burning tech questions about smartphones, tablets, e-readers, computers, cameras, the Internet, security or anything else digital, tune in to the Kim Komando show. 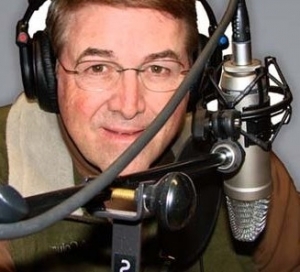 30 minutes of motivation, inspiration, and education from the word of God with Rick Hughes. Retirement Specialty Group’s mission is to use the “LION” method: “Love Individuals Over Numbers.” Our goal is to do what is ethical and morally right for your needs. D. Anthony Wright is the President and CEO of RSG. He has over seven years of experience in the financial, insurance and annuity industries, and he has his Series 6 and Series 63 securities licenses. 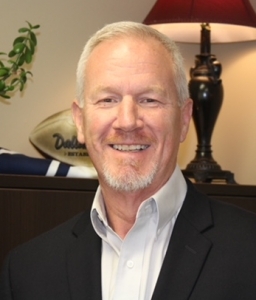 He holds a ministerial degree from Rhema Bible Training College in Broken Arrow, OK. Anthony has received the Million Dollar Round Table Award and has been published and quoted in the Entrepreneur Magazine. Rush Limbaugh isn’t done yet! America’s most listened to radio talk show makes a strong weekend appearance with a 3-hour ‘Best of Rush’ segment that promises to offer some of the highlights of the Rush Limbaugh Show from the prior week, and occasionally of all time.